This unique blend of five simultaneous force vectors cannot be manually duplicated. 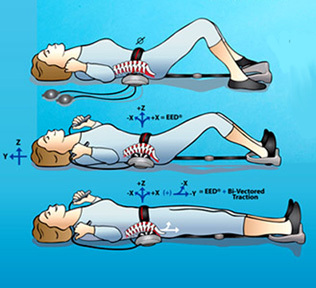 Simply stated, the Penta Vec&REG; 2500, lifts and expands the lumbar spine while the sacrum and pelvis are rotated up and translated away. The feeling is one of lightness and freedom from the monotonous compressive coiling in the lower discs and joints. 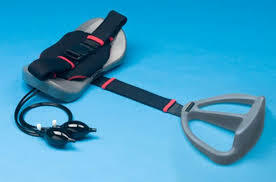 Allows you to carefully stretch out painful stiffness at your own pace. 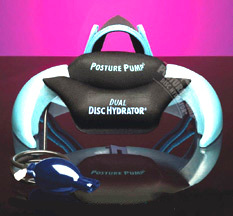 Air cells gently mold you into proper posture while nutrient rich fluid is drawn into the discs as they expand. 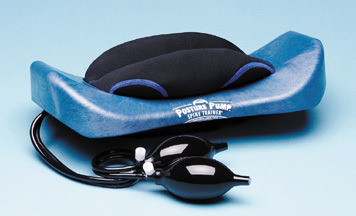 Portable for home, office or travel. 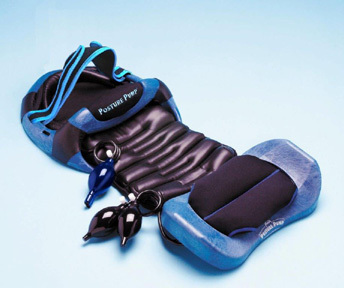 How it works: With your lower back gradually lifting with air and expanding into proper posture, push with feet to gently stretch open and hydrate painful joints, compressed discs and irritated nerves. 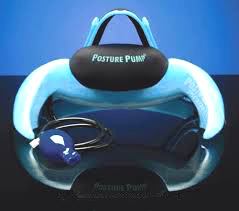 Nothing works like Posture Pump! *Free Shipping applies to orders shipped to areas within the continental U.S.